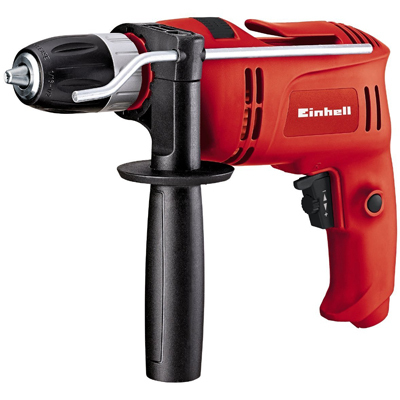 The Einhell TC-ID 650 E impact drill is a handy tool for beginners, which performs solidly on drilling and impact drilling jobs in the home and hobby room. Using the integrated electronic controls the speed can be pre selected and precisely adjusted. Reversing is also possible. 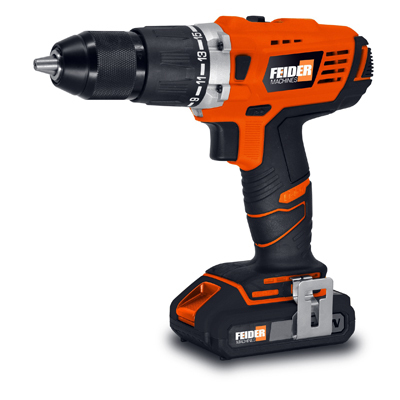 The adjustable drilling depth stop made of metal enables exact, repeat drilling depths of the BT-ID 650 E. The soft grip and the additional handle enable safe and comfortable handling of the machine. The ON button can be locked in position for continuous operation. The housing surface is soft-painted to provide a particularly good grip. 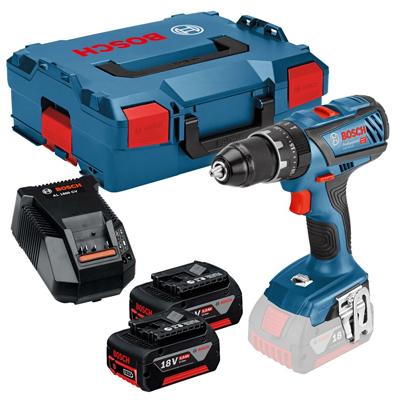 The Impact drill can be used universally. Working with this machine does not tire due to the smooth run, the electronic speed control and the ergonomic design.